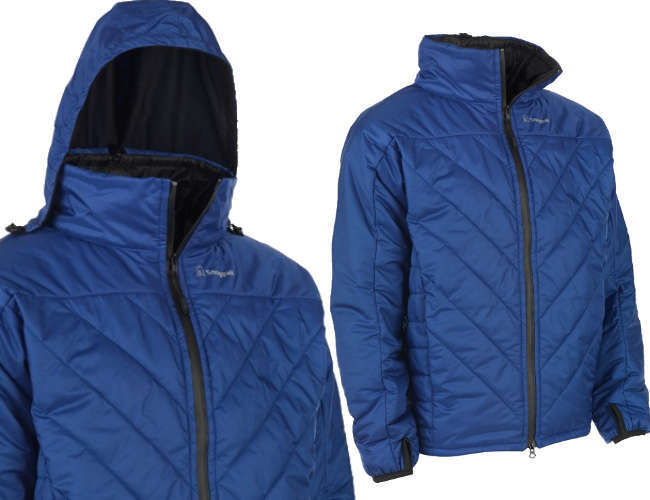 Paratex Micro outer and Paratex Light inner.This jacket will keep moisture away from your skin, keeping you warm. The Softie filling has great insulating properties,keeping in heat for comfort. This jacket is tailored to fit the contours of your body,zips are water resistant and high neck design keeps out the wind. by the skilled sewing staff.Water-resistant main zip for greater insulation comes with a fold away hood. Lightweight and shaped fit unisex jacket. Left chest inside pocket with .